When I travel to a city I have never been, I want to try the most genuine, home-made, typical cuisine in town. Nowadays in European cities (such as Paris, Rome, Barcelona, Berlin, etc. 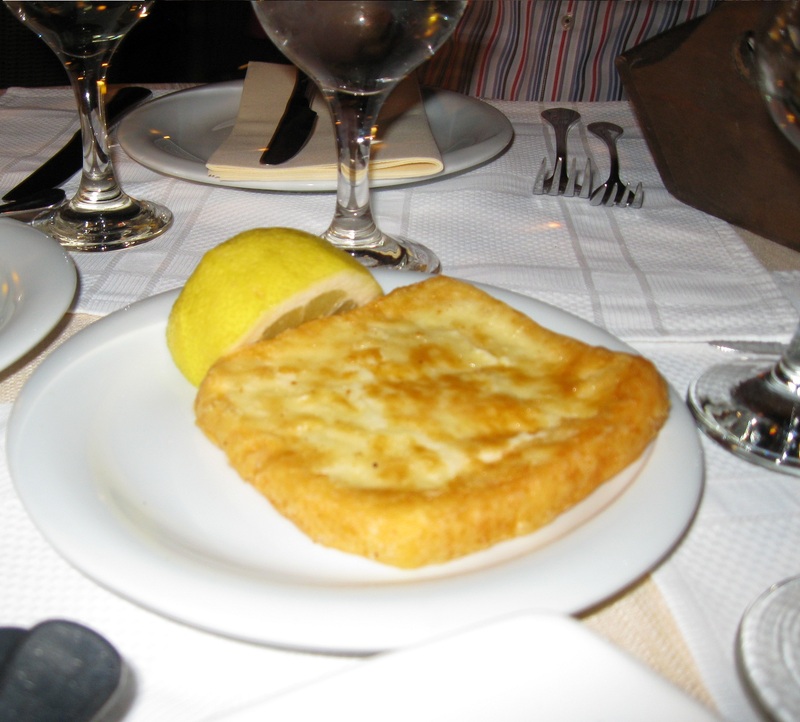 ), there are restaurants that propose renovated or different versions of traditional dishes. Some of them succeed in offering creative and delicious dishes, others fail in that attempt. Unfortunately, it is easy to find restaurants with fake cuisines or those who claim their cuisine is genuine when in reality differs a lot from the traditional one. Let’s make it clear: tourists do not like restaurants that make a fool out of them. On my last night in Athens, I went to a restaurant in the Filoppapou Area (Acropolis area) with a beautiful roof top-garden called Attikos Greek House. As soon as you enter the place, you have to take a lift – or take the stairs – to get there. 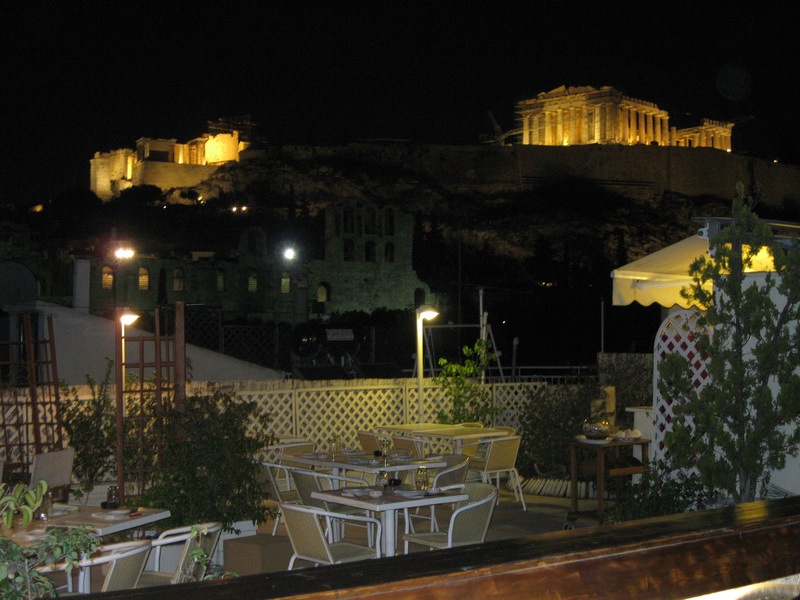 Entering the roof-top terrace (it has such an intimate atmosphere), I noticed the breathtaking night view of the illuminated Acropolis from this beautiful family owned restaurant. 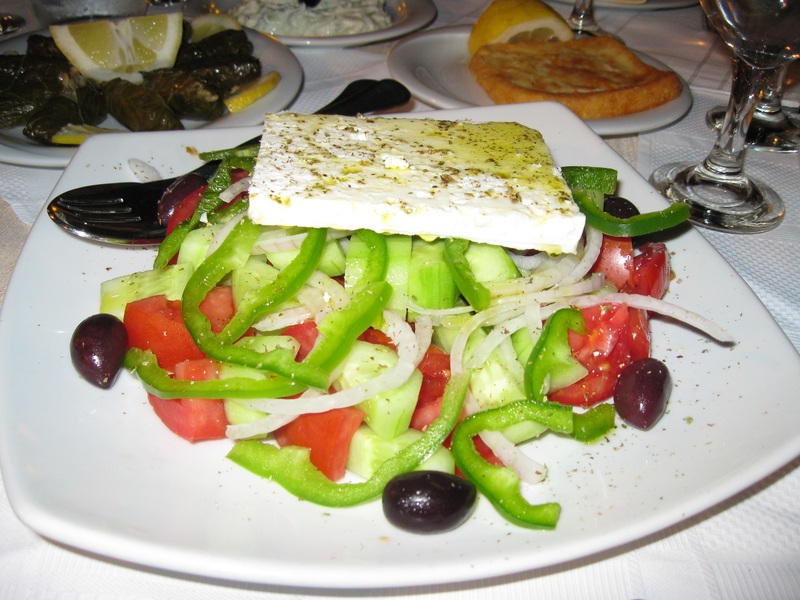 Attikos Greek House – a very well frequented spot in Athens – offers fresh, carefully prepared, traditional Greek dishes. This is the entrance where you to take either the elevator or the stairs. A view of the Acropolis from the restaurant. 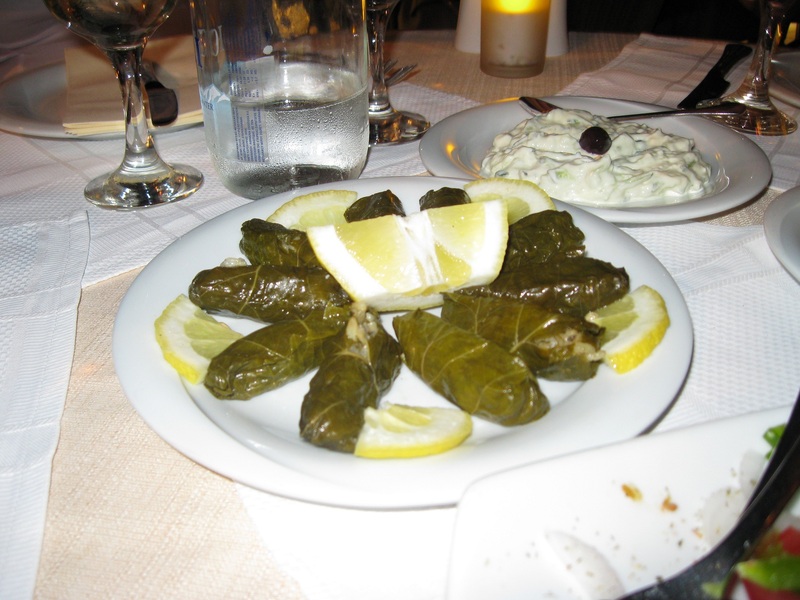 Dolma leaves stuffed with rice. 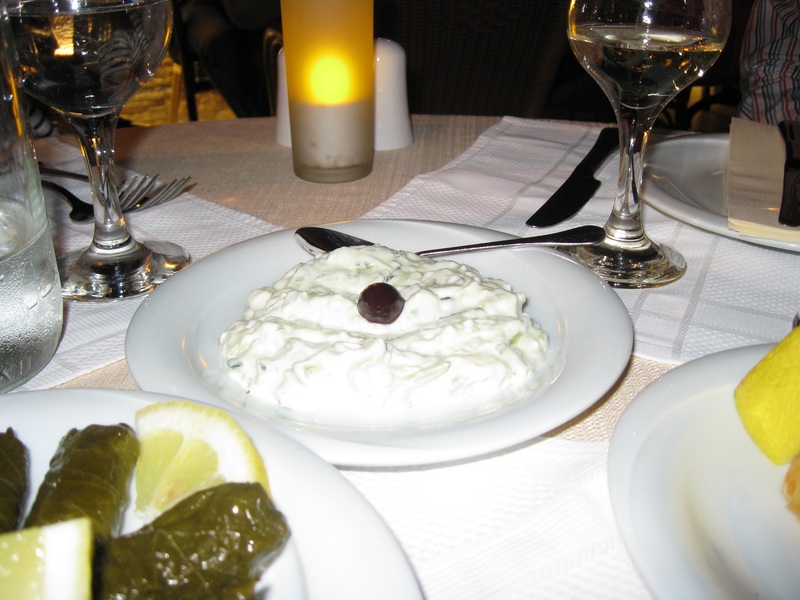 Tzatziki Sauce (strained yogurt with cucumbers, garlic, and salt). 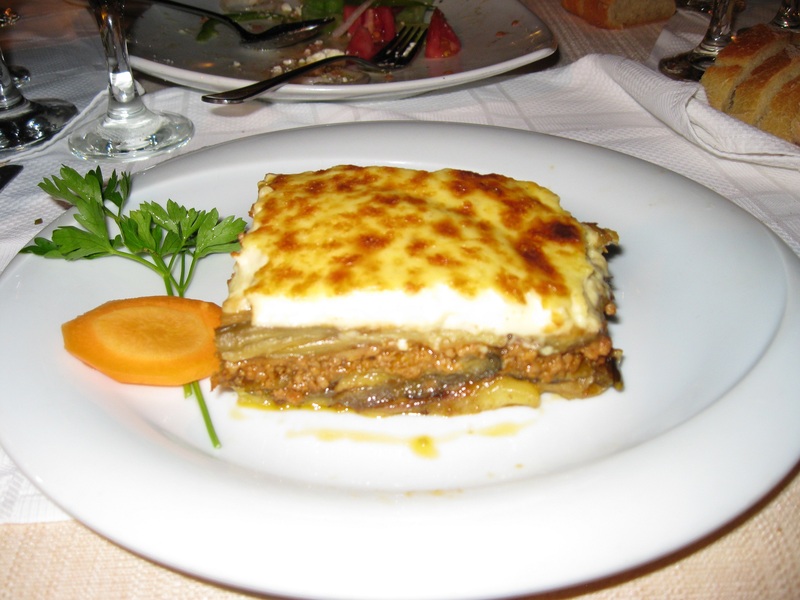 As main course, I ordered Moussaka, a scrumptious, baked classic including layers of ground meat, potatoes, and eggplants topped with Béchamel sauce. I have to highlight the incredible fragrance that emanated from this dish: you could feel the subtle taste of cinnamon, and cloves. 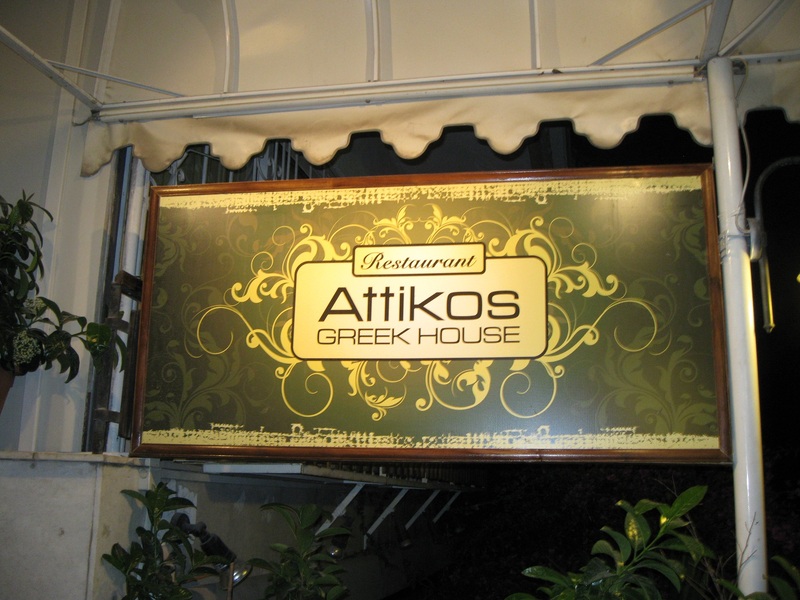 If you happen to visit Athens, I totally recommend Attikos Greek House. Not only it serves great food and one of the best views of the Acropolis, it has really reasonable prices.